What are the main types of headache? Tension headaches – often originating from the neck (cevricogenic), these headaches present as a constant, tight ‘band’ of pain around the head caused by muscle tension in the neck.Hence, they are likely to be worse at the end of the day and slightly improved following a good night’s sleep. They are often linked to periods of increased emotional stress or prolonged postural strain. Migraines – thought to be vascular or neurological in origin, the pain is often one-sided, throbbing and aggravated by movement. Visual disturbances or feeling nauseous may often be a signal that a migraine is coming. Triggers such as exercise, cheese, chocolate, alcohol, travel and caffeine can be fairly common. Sinus headaches – a blockage of the nasal sinuses puts pressure on the facial nerve and often causes pain in between the eyes and around the forehead. 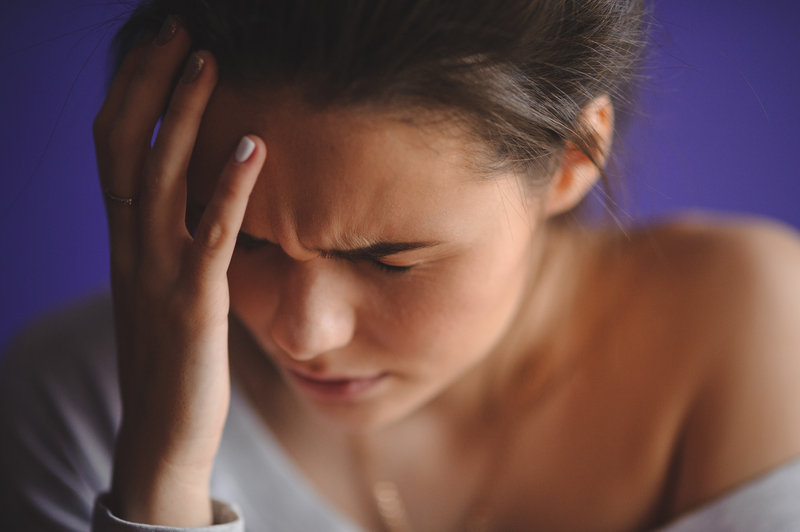 Cluster headaches – sudden, brief (up to 90 minutes), intense pain centred round one eye often combined with redness, tears, sweating and a runny nose. This type of headaches is often described as being worse than the sensation of childbirth! Osteopathy can be an excellent treatment for the majority of headaches. However, it is down to the skill of the osteopath to offer a correct diagnosis and know when to refer the patient on for alternative medical intervention. An osteopath is able to offer a diagnosis and a treatment plan using a range of techniques including stretching, direct manipulation, massage, acupuncture, exercises prescription and dietary advice. The National Institute of Clinical Excellence (NICE) recommend a range of treatment options, including acupuncture, which has been found to significantly reduce the use of pain killers in the sufferer. In addition, they reaffirm the point that accurate diagnosis is key to finding the right solution for the patient. However, for those who don’t like needles and find acupuncture to be an unsuitable option for them, other osteopathic techniques such as manipulation, massage, postural adjustments and stretching have been found to be just as successful in the treatment of headaches. If you would like to speak to a member of our team, please call on 0208 088 0614 and we would be happy to help, or to book a FREE consultation, please click here.